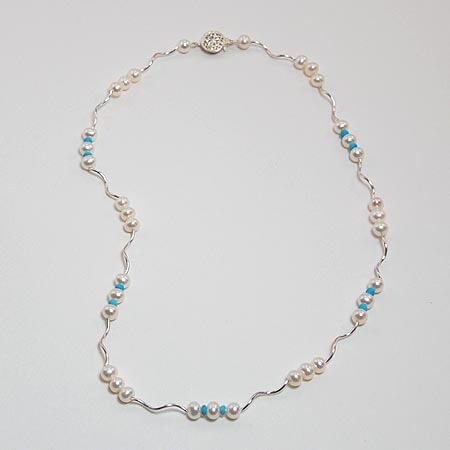 This necklace is a one-of-a-kind design blending artfully curved sterling silver tubes with delicate small white freshwater pearls and laguna blue turquoise rondelles. An intricate round sterling silver clasp closes this 17 inches long necklace. Eye-catching and vibrant, the turquoise rondelle beads add a pop of color to this design.